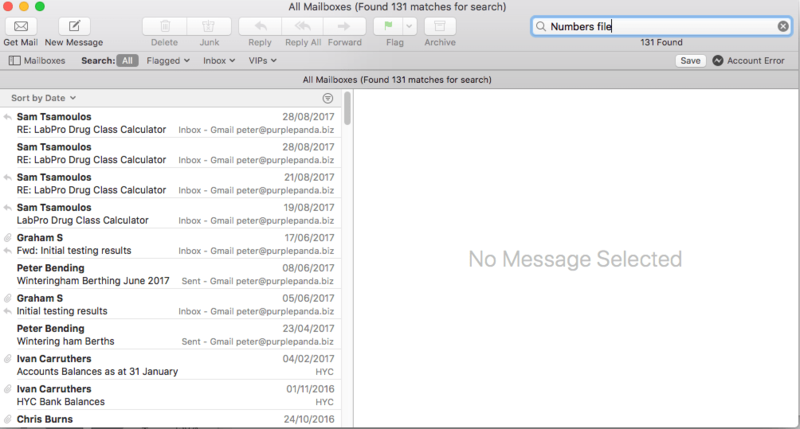 High Sierra has some new features for the mail App, and here is how they work. 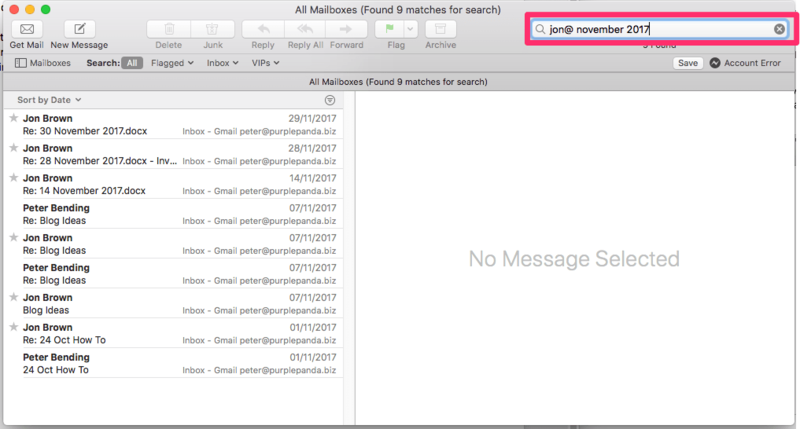 Just like Spotlight the Mail App now supports natural language search, if that phrase leaves you stumped it means you can search using in a more natural way such as using “from Jon last week” rather than specifically jon@gmail.com 11/13/2017. You can be even more vague here is an example “jon@ November 2017”. This is a familiar feature of iPhones and iPads, if you like to use mail in full Screen to get rid of the clutter on your Mac the Mail App now allows you to easily write replies and open other emails with each new message opening in a Tab on the right-hand side. When you hit compose the message list on the left-hand side stays where it is and the last email you were looking at stays open. And let’s say you also want to have quick access to another email simply double click on that message and it opens in a tab on the right-hand side. 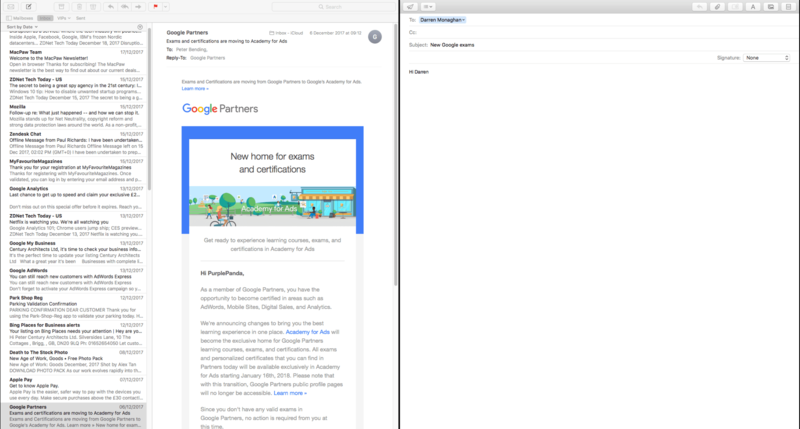 This is great for productivity when you want to use full screen mode in Mail. 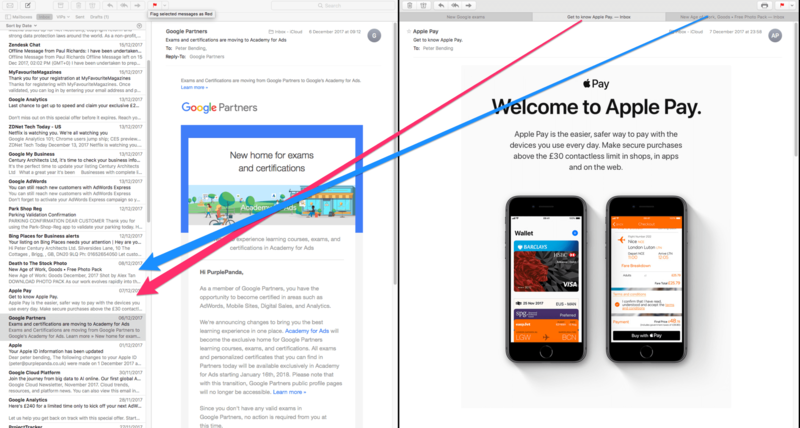 Under the Hood, you may not see these improvements with your eyes but Mail now makes your searches faster, Apple had announced a reduction in Mailbox sizes. So far We haven’t been able to see this other than with the improvements with the new APFS . 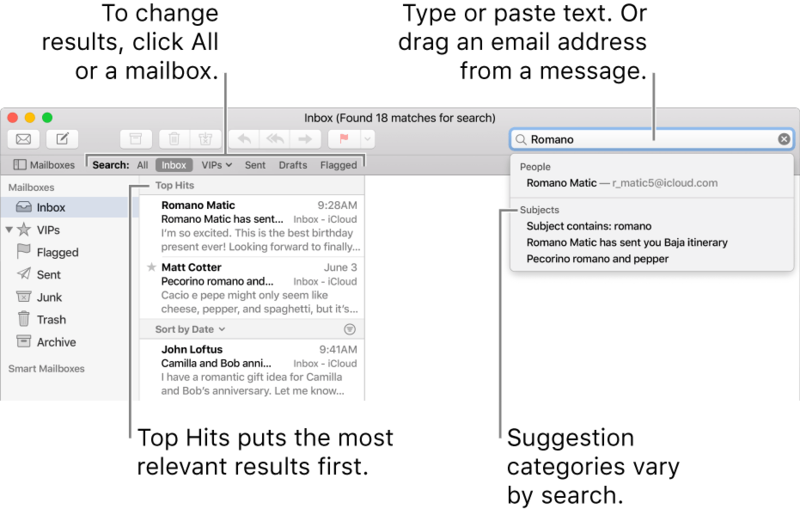 The search functionality for Mail now provides Top Hits with osX High Sierra, if you are disappointed not to see this feature after upgrading to High Sierra keep searching as it’s part of the machine learning and needs to learn what you look at the most and how you search for items in your inbox!